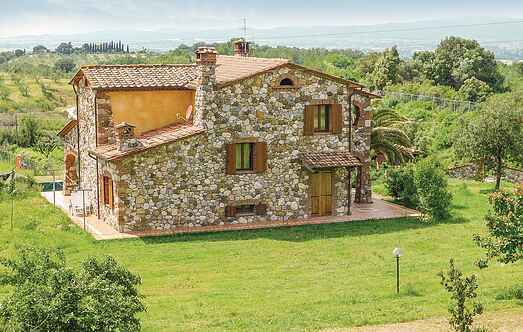 Find a vacation home to rent in Gavorrano from our list of vacation rental properties. Campaya has over 35 vacation homes available in Gavorrano, which give you the possibility to locate a unique accommodation in Gavorrano which completes your check-list in search for the perfect self catering vacation apartments in Gavorrano or vacation villas in Gavorrano. This nice holiday home is set in the historic village of Gavorrano in a panoramic position overlooking the countryside to the sea. This spacious holiday home with private garden is located in the Maremma countryside, 5 km from the town of Gavorrano and only 10 km from the beautiful sea of the Gulf of Follonica. Small independent house with a covered terrace, a big garden, gazebo and barbecue, in common with an annex which sometimes is used by the owner.